You'll love our books. Check them out! I was engaged in Truth Seer from cover to cover. The story is set in a futuristic Egypt and follows the story of Imara who has a special ability that enhances the way she views the world. Imara and the reader learn together that although her ability is incredible, she has to be careful not to let it blind her. Imara is creative, assertive, and strong, still her journey of self-discovery is relatable and endearing. Moody creates powerful imagery that captivates the reader and left me begging for more. I can’t wait to read the sequels! Readers will be spellbound as they follow Imara through the unexpected twists and turns of the novel’s completely engrossing plot. 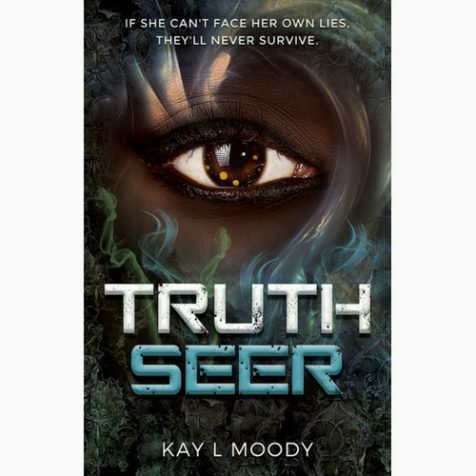 Truth Seer is an exciting and provocative tale that weaves together difficult questions about political morality and the philosophy of truth with an engaging love story and plenty of laugh-out-loud moments. We strive to cultivate a strong relationship with our readers, authors, reviewers, and press. Find out more below. We are happy to accommodate press requests including interviews, book signings, media appearances, and more. In most cases, we can provide a press release, book description, author bio, book cover images, etc. Fill out the contact form on our PRESS PAGE and please mention any deadlines. Check out our latest blog posts. Learn more about our authors, their books, and more! 12 YA Books Adults Will Love! Creative and detail-oriented world building with relatable characters. Intrigue and advenure paired with incredible technology and strong female leads. Huge swords, cool dragons, sassy heroes, and only the very best magic.